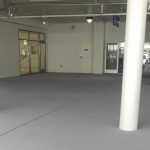 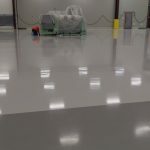 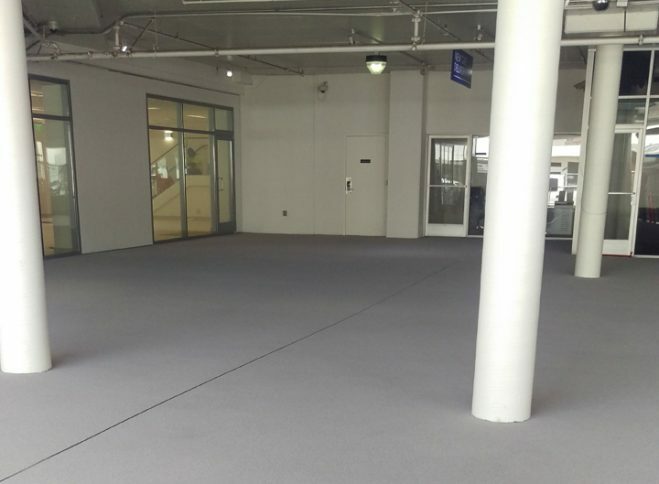 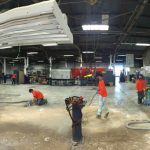 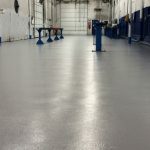 Automotive Showroom & Garage Flooring - Pacific Coast Contracting Services, Inc.
Pacific Coast Contracting installs seamless epoxy flooring in automotive showrooms and repair garages frequently. 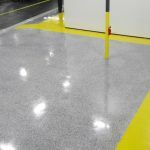 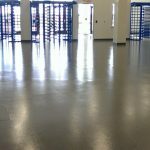 The specialized epoxy floor coating offers significant advantages over polished concrete. 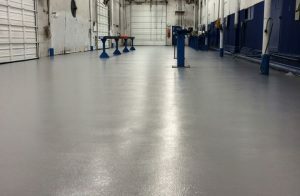 Epoxy coatings offer stain resistance and chemical resistance to automotive fluid, oil and gas. 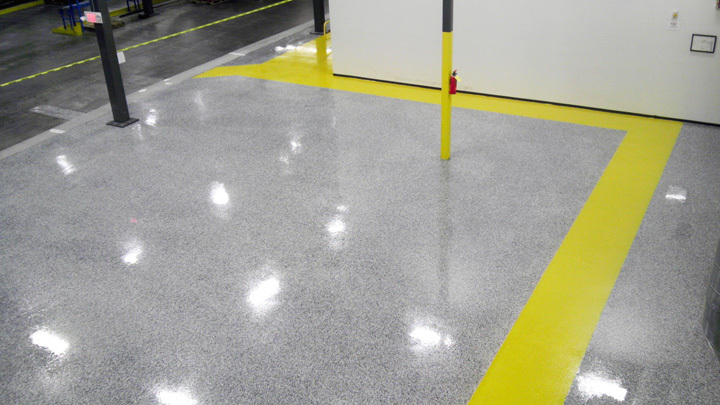 A light-colored epoxy also reflects light better, providing improved visibility under the vehicle in repair bays. 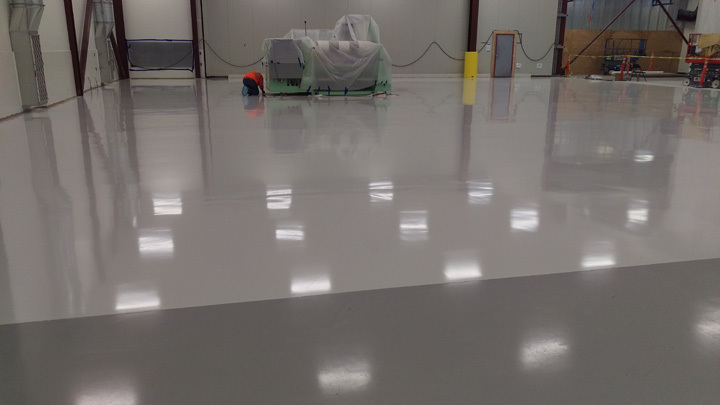 The epoxy coating used by Pacific Coast Contracting is also extremely durable and highly resistant to tire traffic. 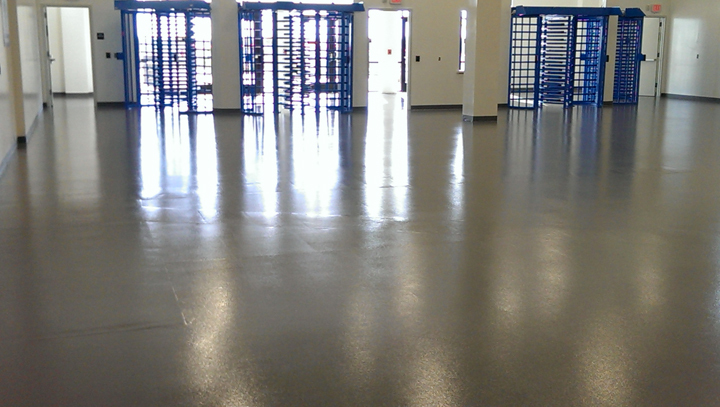 The non-slip surface is easy to clean and impervious to water. 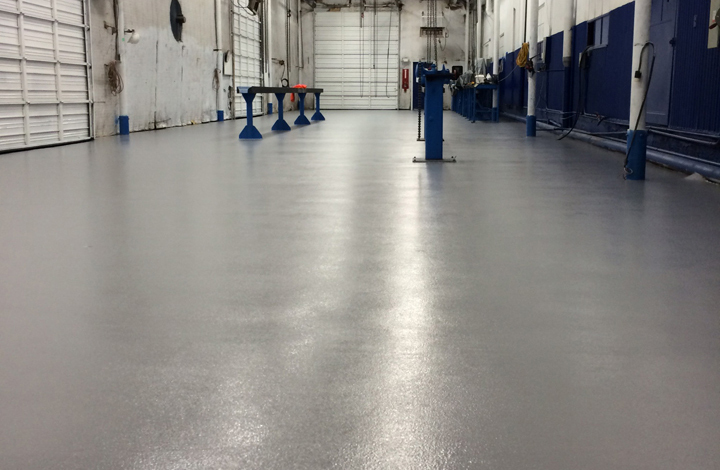 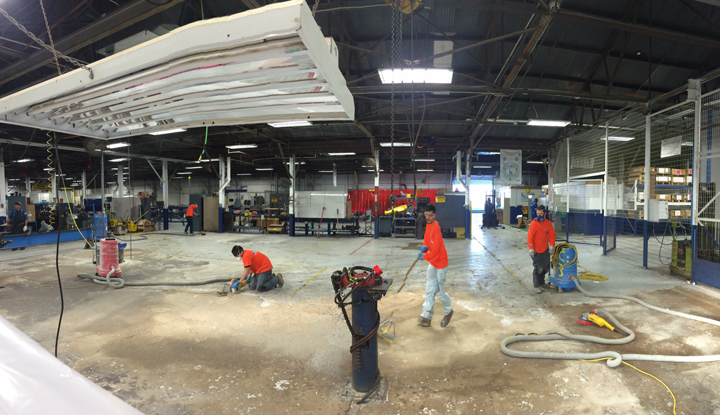 It’s easy to see why Pacific Coast Contracting is a leader in auto showroom and repair shop floor installations.